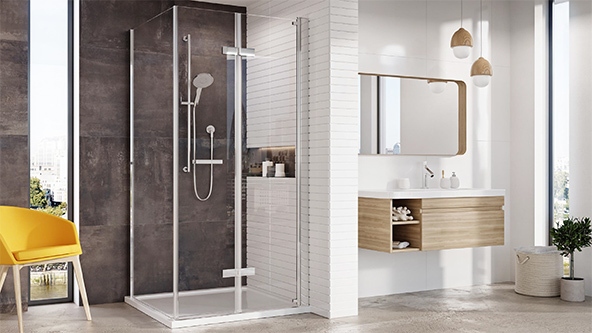 Full height bi-folding and pivoting glass shower enclosures by Roman and Box Docce 2B. Manufactured in the UK, Roman create luxury shower enclosures, using high quality components alongside chrome trims. The unique hinges on the Box Docce 2B range allows the doors to fold both inwards and outwards.